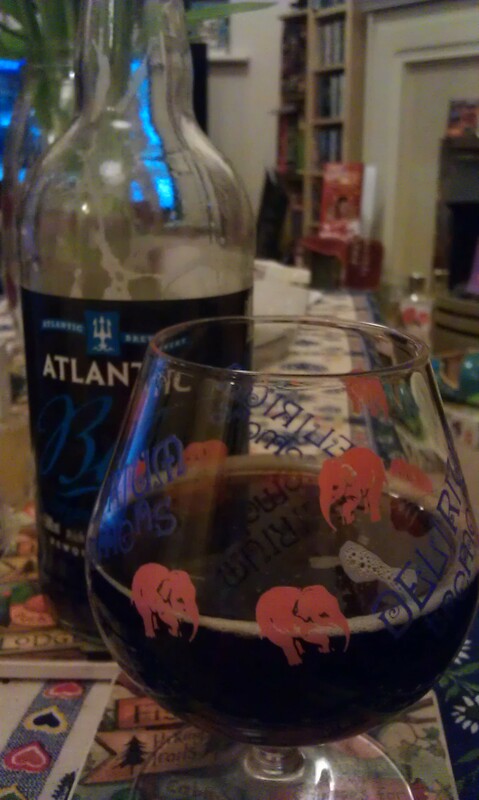 So just thought I’d do a little review of this rather lovely porter from Atlantic (http://atlanticbrewery.com/) who I had actually never heard of before their beers started to appear in Bitter Virtue, my beloved local beer store. Atlantic are based in Newquay in Cornwall and boast some impressive green credentials. The whole operation is a very local affair; they grow their own organic hops, use pure Cornish water drawn fresh from their own spring and use organic barley and wheat malts produced by Warminster Maltings. Plus, they are certified vegan! Atlantic initially caught my eye because of the variety of styles which includes a range of ales developed with Michelin starred chef Nathan Outlaw to enjoy with food, as well as the more traditional styles. ‘Atlantic Blue’ is their porter. According to the blurb, it’s a ‘rich porter that smoothly blends five different malts. It exhibits a light smokiness fused with roasted coffee and hints of dark chocolate.’ It doesn’t disappoint. The color is deep chocolate brown and the scent is rich vanilla and hazelnut with a little malt. At 4.8%abv, it’s an average strength and goes down extremely smoothly. Just the kind of thing for unwinding after a long day. The first thing I notice is the creamy chocolate, then a slightly acidic, slightly tangy coffee. The coffee builds the further down you get and lingers. I don’t really get the smokiness but I’m not too upset since it’s a great porter for a regular evening treat.